Las Vegas, NV, January 23, 2019 – During SHOT Show 2019, GunBroker.com honored its 2018 Top Sellers at an invitation-only reception in Las Vegas. At the annual event, GunBroker.com provides an opportunity for individuals to personally engage with other top sellers and the GunBroker.com team. With nearly 100 sellers and guests in attendance, this exclusive event surpassed last year’s reception. 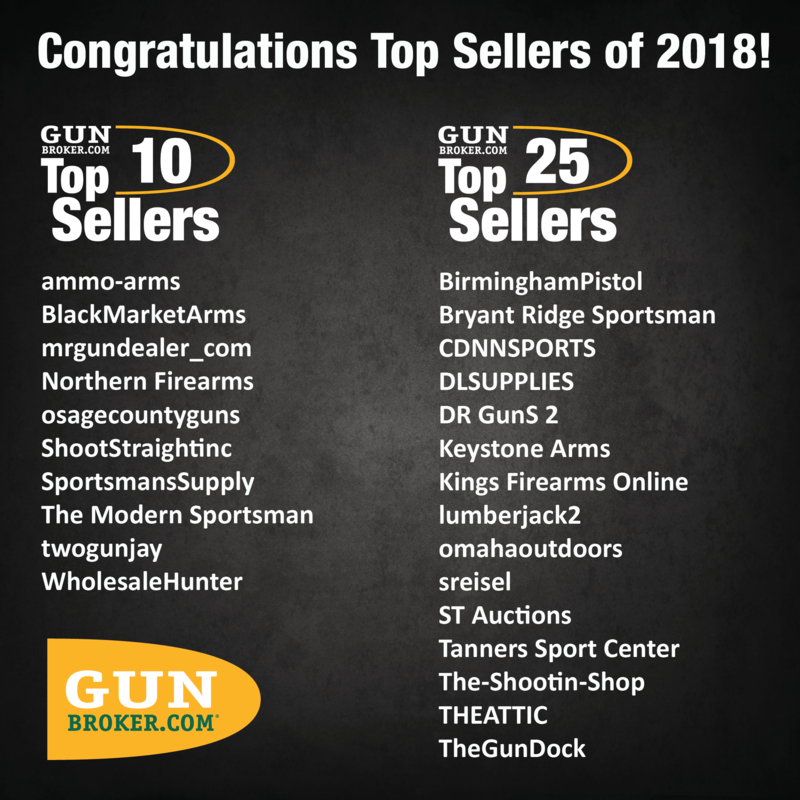 “Our Top 100 Sellers are dedicated to their GunBroker.com businesses and we are happy to recognize the exemplary efforts of each in maximizing the GunBroker.com platform,” explained Steve Urvan, founder and CEO of GunBroker.com. The 2018 Top 100 Sellers are identified on GunBroker.com with special member badges and are broken out by the Top 10, Top 25 and Top 100 Sellers. In 2018, over 1.5 million items were sold through GunBroker.com leading to over $6 Billion in cumulative merchandise sales. Launched in 1999, GunBroker.com has become the world’s largest online marketplace for firearms and accessories. Patriots Ammo – Arms LLC.